Red Door Designs » A boutique design firm in NW Portland. We specialize in brand makeovers and clean website design. - Red Door Designs » A boutique design firm in NW Portland. We specialize in brand makeovers and clean website design. No judgement here. At Red Door, we’ve worked with plenty of highly successful business owners who’ve felt just plain overwhelmed by the idea of change. That’s exactly how Dr. Ami felt when she knocked on my door. She’d spent six years building a lucrative therapy practice. And while she had loads of happy patients, she had a website that made her cringe. In fact, she’d stopped sending people to it. Full. Stop. The problem was it just wasn’t aligned with her current business. She’d outgrown it. But she did nothing. For years. Even though she knew it was costing her potential patients. Today, she’s not shy about handing out her business cards or sending clients to her site. But while all that sounds nice, it’s really just the start. Because business isn’t just about feeling good. It’s also about getting results. So, how’s Dr. Ami “the savvy business owner” doing today? With a fresh new look, a streamlined marketing strategy, and a website that works better than soapbox star with a megaphone, her business has exploded. She was even able to let an employee go. Her site is literally doing the job of someone she’d previously had to pay. What’s more, she doesn’t have to worry about dealing with future growth on her own. 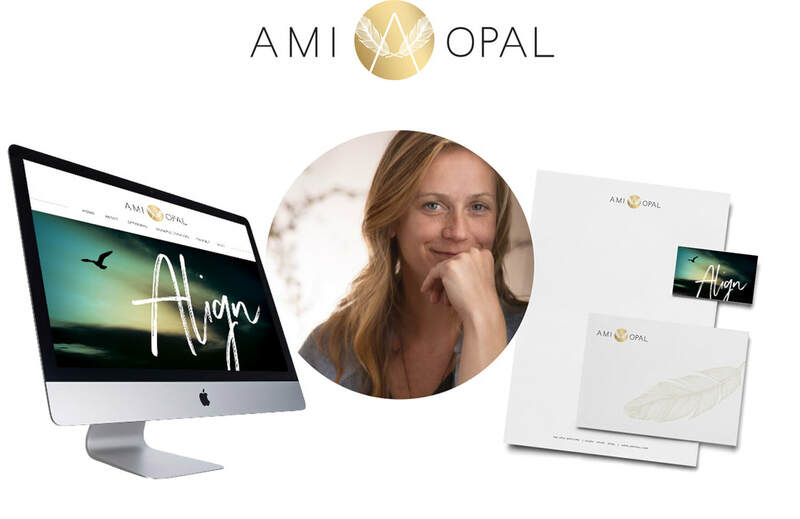 She has a branded email template and a plan to stay connected to her clients, which will continue to support and grow her thriving practice. With velvet-rope service, Edwin's self-storage business had no shortage of happy customers. But with a stale, outdated site that failed to connect with his audience, he was stuck duking it out with everyone else in his industry. New customers only trickled in. Drip. Drip. Drip. Then, he hired Red Door. Together, we revamped his whole business. This wasn’t just a fresh coat of paint on the front door. This was a total makeover from the inside out. The end result? I overhauled his logo, signage, business cards, website, and more. I even redesigned his signage in 7 locations! The real magic happens when I uncover your authentic brand story and bring it to life. Then give you a proven framework to keep growing. Edwin’s business is flourishing today because his new website and marketing strategy connects with people in a way that ensures they know, like and trust his business. And find him easily. He’s not just bringing in new customers, he’s building relationships for the future. And with me, he’s always got a partner at his side to ensure continued success. 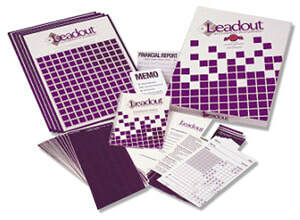 That’s what happened to Leadout, a tight-knit family owned business born in the 70’s. They had a successful Leadership Training Product in the U.S. And a vision to expand globally to Asia. But the Asian manufacturers refused to take on a product that felt stale and outdated. Leadout needed a complete brand overhaul. New logo. New website. New product design. New collateral. Leslie, the CEO, hired Red Door to transform her brand and take her business--not just to a new level--but to a whole new place. Today? She’s partnering with manufacturers all over the world. And (in case you were wondering) even though Leadout is now a lead player on the world stage, they haven’t forgotten about me. Red Door is still its go-to agency. You know your business is special. There’s magic happening within the walls of your organization. But your website conveys about as much passion as the color beige. The thing is, it’s not exactly your fault. You’ve hired designers before. Spent quite a bit of time and money trying to “get things right.” And you’re still stuck with a website that feels, well, “meh”. "Our website was dated and bland. And it definitely didn’t convey our passion or expertise. To make things worse, our designer was totally unresponsive when we wanted to make updates or changes. The whole thing made me want to bang my head against a wall in frustration. After our first meeting with Kris, I knew things were going to be different. She really listened to what I was needing and hoping for in our website. I got to talk about how great my business is and she translated it perfectly into an informative and dynamic website. Our site now feels ALIVE! It’s dynamic, conveying hope and possibility. I feel proud showing off our website because it honestly depicts the depth and breadth of what we do, yet with a simplicity that’s appealing to consumers on all levels. The process was was surprisingly fun and easy! I love knowing I have an ongoing partner I feel comfortable with and can rely on." And that’s because at Red Door, I'm not just building brands, I'm building relationships. Just like I help my clients do. ​Let’s chat about taking your business to the next level! Schedule a call to chat about your business goals. Receive a strategic plan with detailed steps and clear pricing. Kick back with a set of marketing tools that work. Red Door Designs » A boutique design firm in NW Portland. We specialize in brand makeovers and clean website design.